Each year during the holidays, Nancy Flynn, Senior Library Specialist, Facilities and Business, has chaired the Library’s charitable holiday drive. 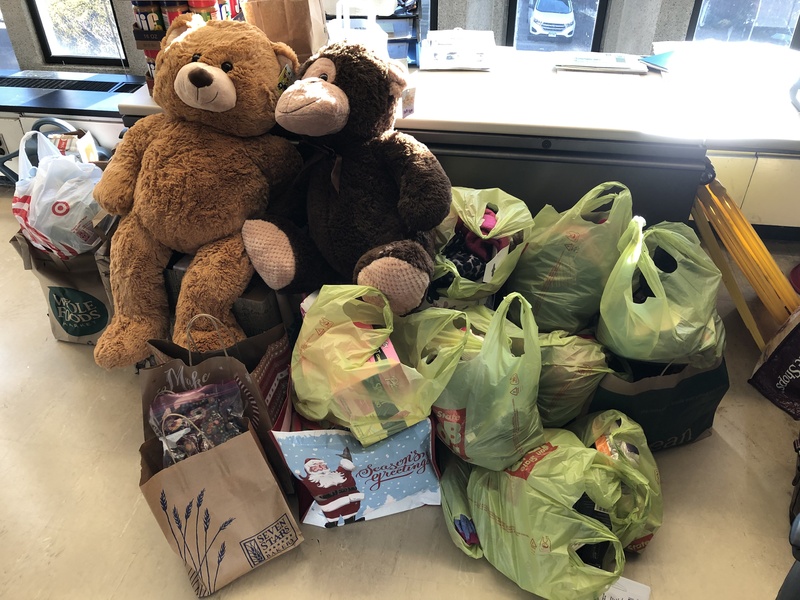 In December of 2018, over the course of two weeks, Nancy inspired Library staff to donate gifts, money, and food to Crossroads Rhode Island and the Rhode Island Community Food Bank. The mission of Crossroads Rhode Island is to help homeless or at-risk individuals and families secure stable homes. In addition to an overflowing mail bin full of new toys for children, Crossroads Rhode Island received $800 in monetary donations from the Library. Library staff gave the Rhode Island Community Food Bank over 100 pounds of non-perishable food items and a monetary donation of $1,070. With a mission to improve the quality of life for all Rhode Islanders by advancing solutions to the problem of hunger, this local food bank provides access to healthy food to diverse communities throughout the state. Nancy retired in January 2019, after many years of dedicated service to the Library. A beloved and respected member of the staff, Nancy’s infectious humor, tireless work ethic, and enormous heart is sorely missed at the Rockefeller Library and beyond. One of those Rhode Islanders who knows everyone and every place, Nancy remains connected to us (thankfully) and can probably be found “getting her steps in” on Blackstone Boulevard or in the coolest new pub to open in Providence (and the surrounding area). We thank Nancy for spearheading our community giving efforts and look forward to trying to live up to the very high bar of community philanthropy that she has set over the course of her career in the Library. This entry was posted in Home Page, Staff Announcements by Jennifer Braga. Bookmark the permalink.